Good remark for college is some good faculty members and the bad remark is some senior students. 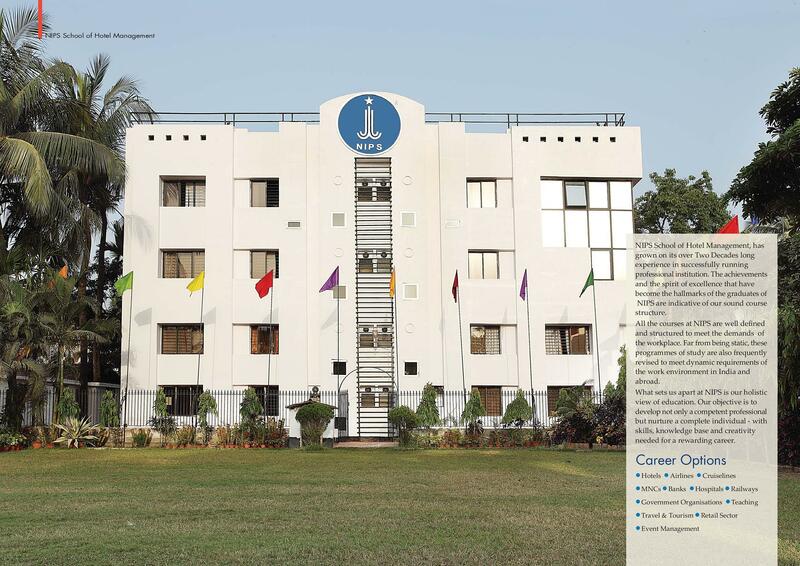 NIPS School of Hotel Management is one of the premiere hotel and hospitality management institutes of the country and is located at a prime location in Kolkata. It was established in the year 1993 and has received a galore of different kinds of awards in its twenty years of functioning. 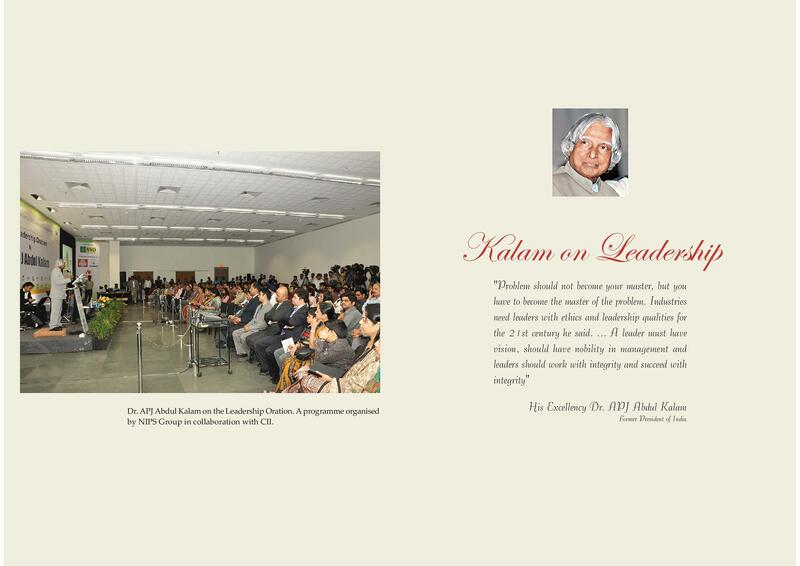 It has also earned a place in the Limca Book of Records for a unique feat achieved by its students and teachers. 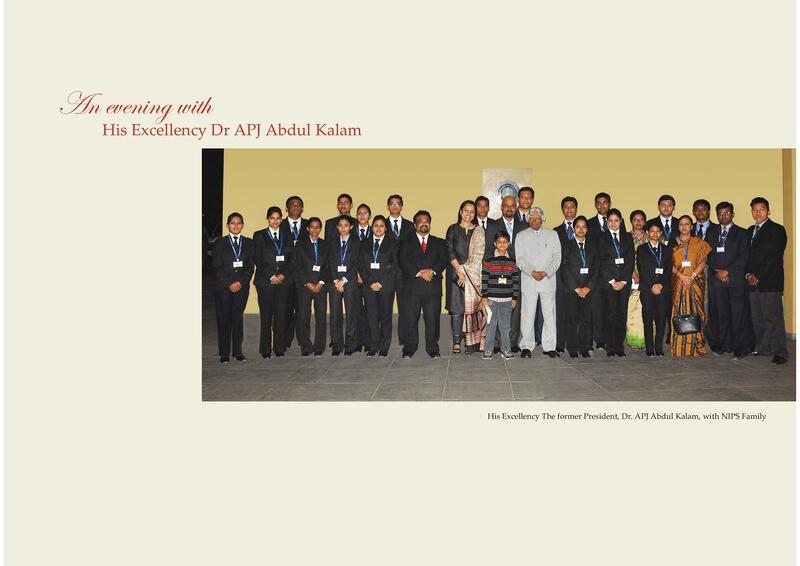 It also holds the record for being the only institute from Asia to win Worldwide Hospitality Award in France. It is associated with some of the top rated management institutes of the world and offers world class education to turn its students into leaders of tomorrow. Each of its course reflects the ideal combination of vibrant Indian heritage along with modernised western education system. 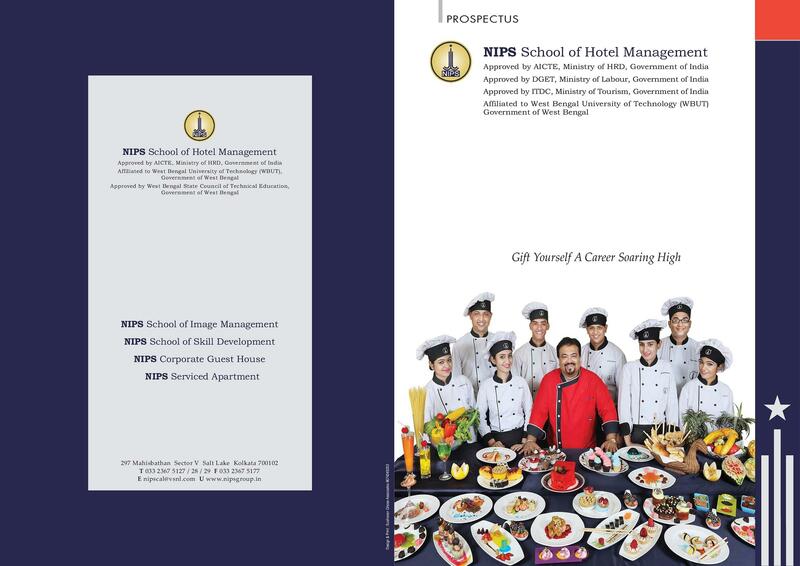 Why choose NIPS School of Hotel Management? â—Top class facilities: NIPS offers a wide range of facilities which are rated as one of the best in the region. These include spacious and technologically advanced classrooms, well stuffed e-library, AC deluxe rooms, soft skill training, transport services, food and beverage labs, restaurants, etc. 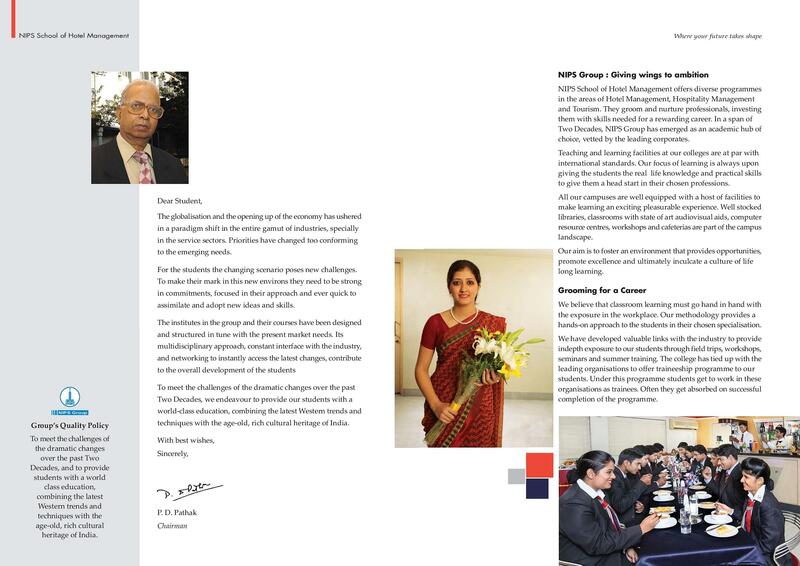 â—Practice oriented teaching methodology: NIPS lays special emphasis on practical learning and conducts frequent industrial visits so that the students are acquainted with real life demands from the very first year. â—Qualified faculty members: The college has a pool of trained and qualified lecturers who have sound industrial experience and still work as consultants and advisors to many famous companies. â—Awards and Accolades: The college has been rated as one of the best in the country by various agencies. It also holds a special place in the Limca, Indian and Asian books of records.